Don’t mess with the bull, Bethe Correia, you’ll get the horns. Opps, too late. Correia, in an attempt to do God knows what, made an uncalled for remark that hit too close to home for reigning UFC bantamweight champion Ronda Rousey (pictured). Promising to knock Rousey out and humiliate her at UFC 190 is one thing, but to make a comment about suicide to a person who lost her father because of it is another. “I want to knock her out, show to everyone that she is a lie,” Correia told Brazilian website Combate, translated by MMAMania.com. “She wants to stand up with me, let’s see. I want to humiliate her and show the word she has no MMA. She is focused on movies, books. I am much stronger, I come from a developing country, where people are struggling to survive, not to starve. It is very different from her life of reality. Oh, boy. There are ways to sell a fight and there are ways to dig your own grave. It appears Correia may have done the latter. “@bethecorreia suicide is no joke or selling point. My father will be with me the day I hand you the comeuppance you deserve,” Rousey responded Thursday morning via Twitter. It is not known if Correia’s aware Rousey’s father committed suicide when she was just eight because he was suffering from severe back pain after a sledding accident. Rousey rarely discusses her father in interviews because his loss still hurts to this day. 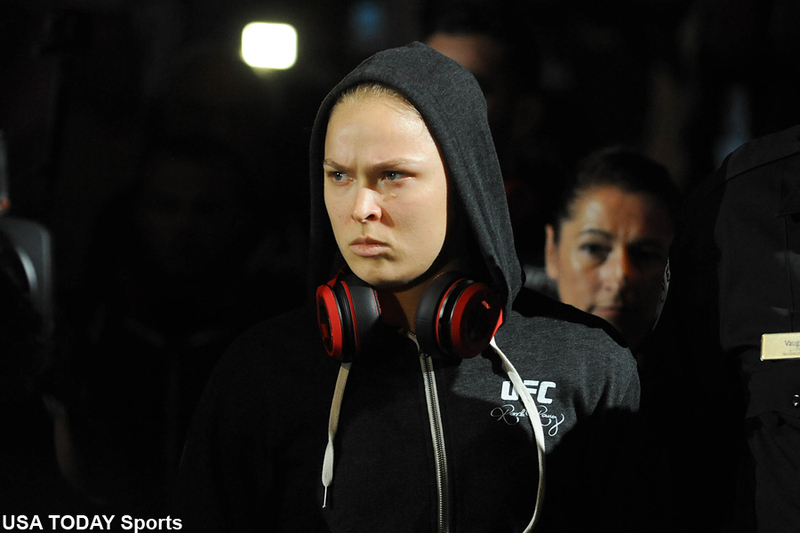 Rousey defends her throne against Correia August 1 at UFC 190. Rousey owns a perfect 11-0 record, finishing off all but one of her victims within the opening round. Best of luck, Bethe.